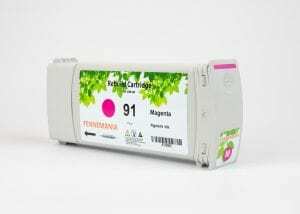 Fennemania no.91 775-ml cartridge offer great print quality and reliable performance for fast, professional quality colour printing. The no.91 775-ml brings a new ink formulation, cartridge architecture, and smart printing features to HP’s precision printing system. Great prices on the Fennemania rebuild cartridges for HP91 Designjet. This cartridge is guaranteed to work with your HP Z6100 Designjet printer. If you love to save money, then you’ll love the price on our compatible ink cartridges! 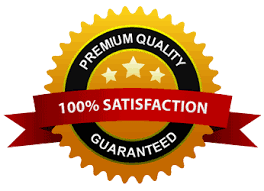 Looking for high quality HP 91 compatible Ink cartridges? you are at the perfect place. Equivalent to HP part number(s): HP91 Cyan, C9467A. Equivalent to HP part number(s): HP91 Magenta, C9468A. Equivalent to HP part number(s): HP91 Yellow, C9469A. Equivalent to HP part number(s): HP91 Light Cyan, C9470A. Equivalent to HP part number(s): HP91 Light Magenta, C9471A. Equivalent to HP part number(s): HP91 Photo Black, C9465A. Equivalent to HP part number(s): HP91 Matte Black, C9464A. Equivalent to HP part number(s): HP91 Light Gray, C9466A. 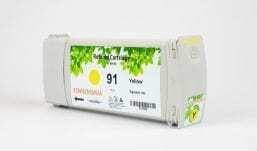 Replacement Cartridge for HP 91 Yellow 775 ml. 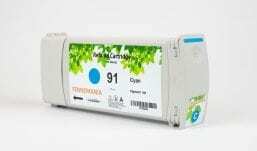 Replacement Cartridge for HP 91 Cyan 775 ml. 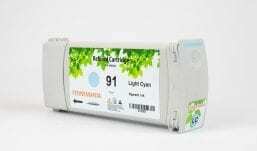 Replacement Cartridge for HP 91 Light Cyan 775 ml. 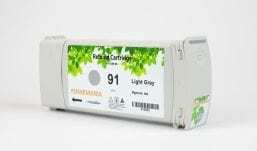 Replacement Cartridge for HP 91 Light Grey 775 ml. Replacement Cartridge for HP 91 Light Magenta 775 ml. Replacement Cartridge for HP 91 Magenta 775 ml. 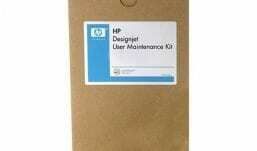 Replacement Cartridge for HP 91 Matte black 775 ml. Replacement Cartridge for HP 91 Photo Black 775 ml.